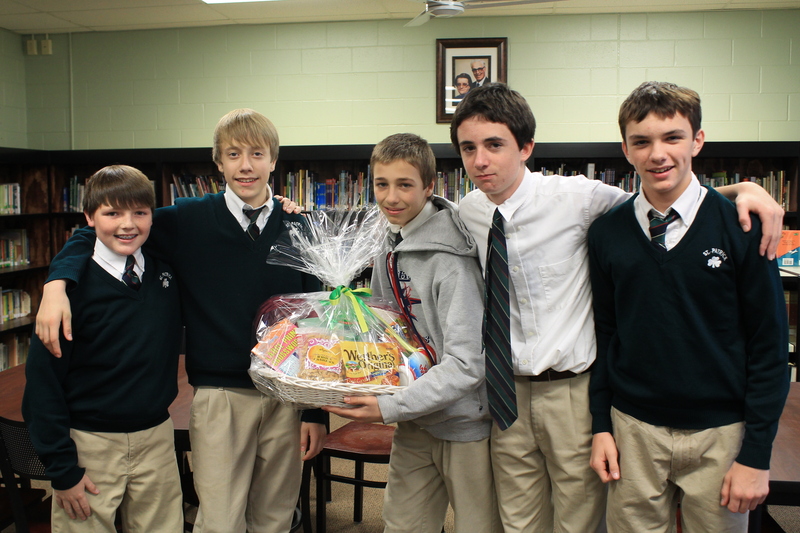 Students in 8B spent the day at St. Katherine Day School yesterday to assist with their Secret Santa Workshop. 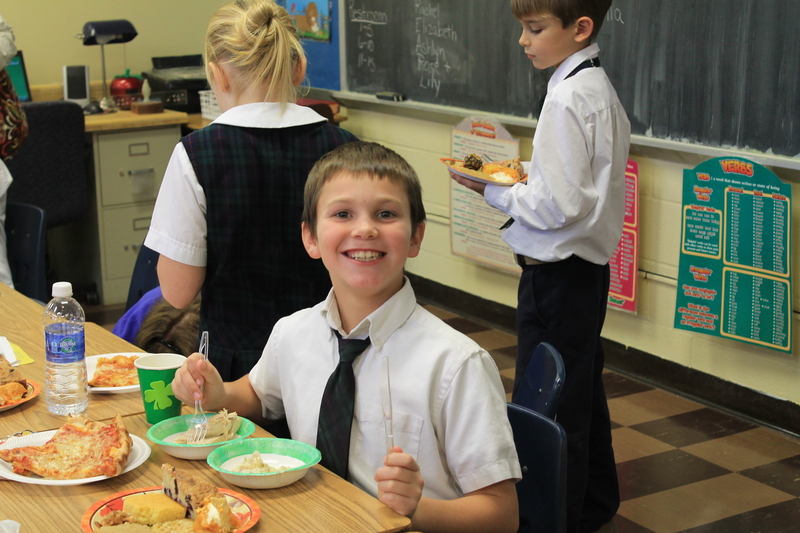 Students who attend St. Katherine’s have special education needs. 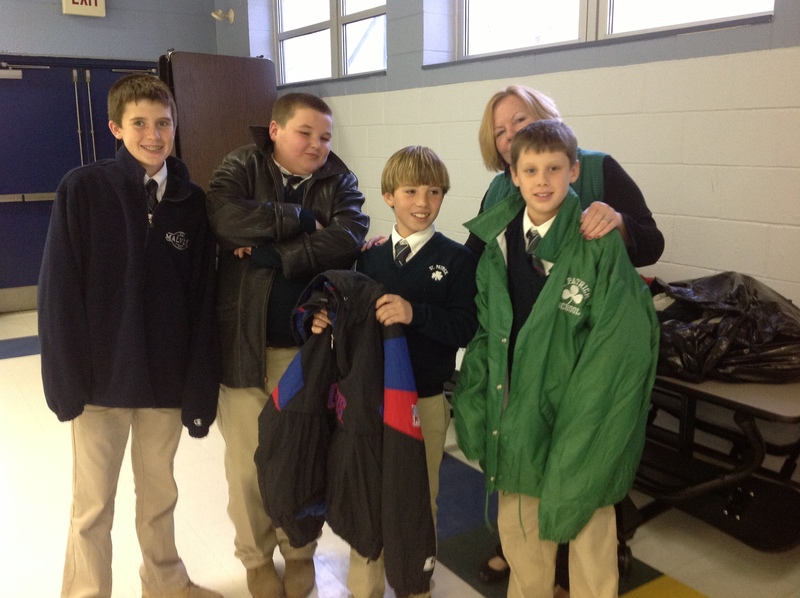 St. Pat 8th graders helped their St. Katherine friends do some Christmas shopping, write their gift tags, and wrap presents. 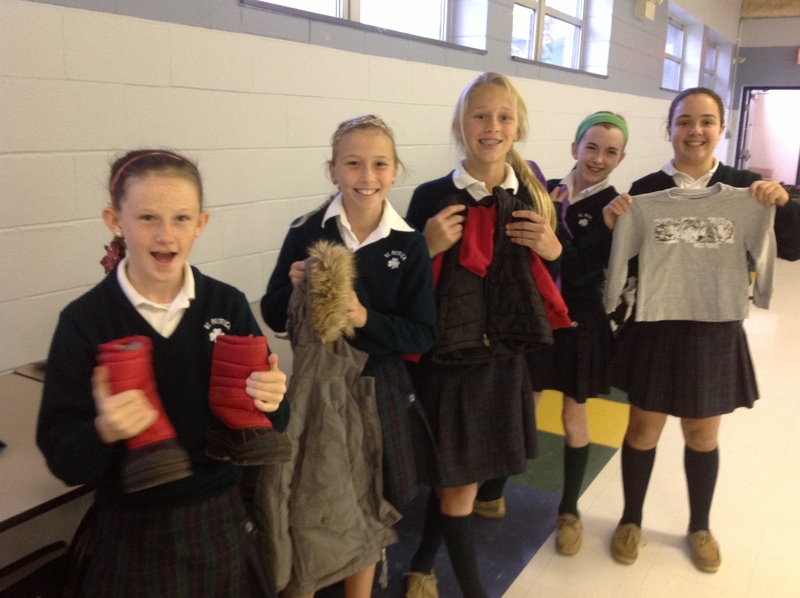 All the 8th graders remarked that they received much more than they gave during this Operation Kids Care project. Great Job 8B! Go Warriors! Pat and his new friend. Riley helps with spelling on a gift tag. 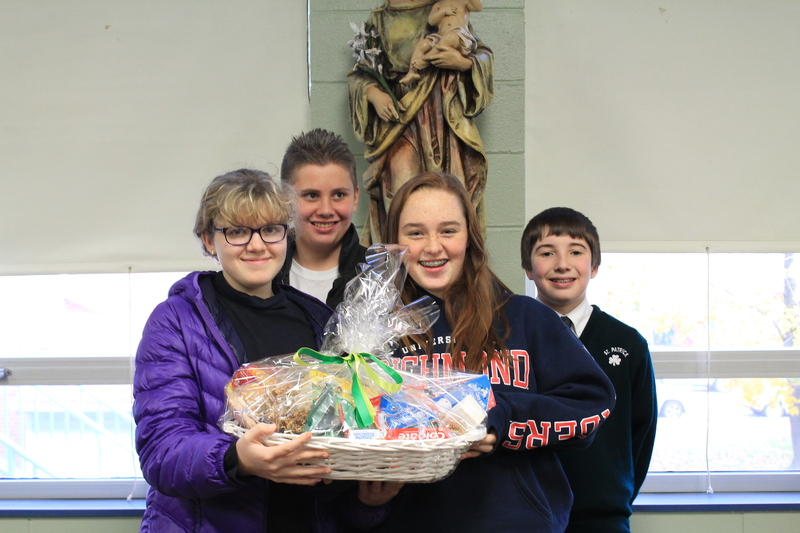 Our 8th graders are continuing to keep in touch with their retired friends in the parish. This program began last year when they were in 7th grade and many of the groups are still writing to the same person they connected with last year. Another group heads out for their visit. 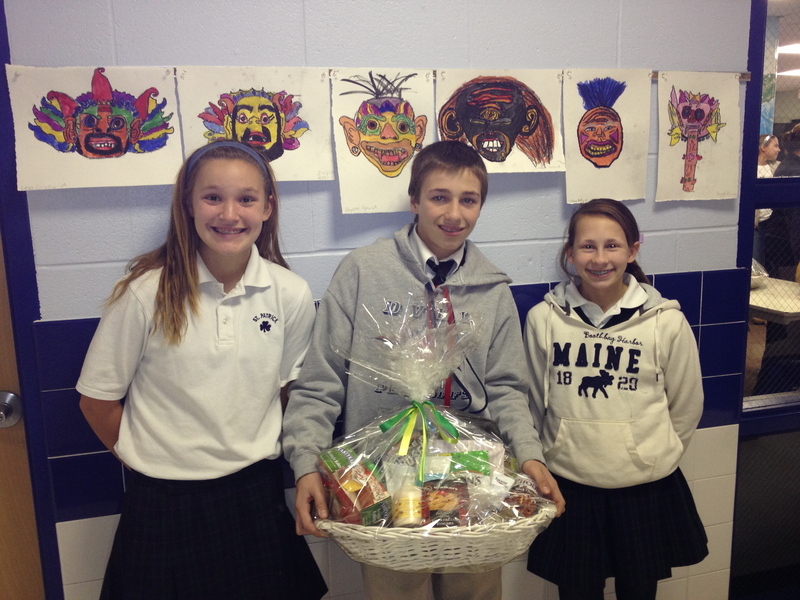 Smiles added to the baskets’ appeal! 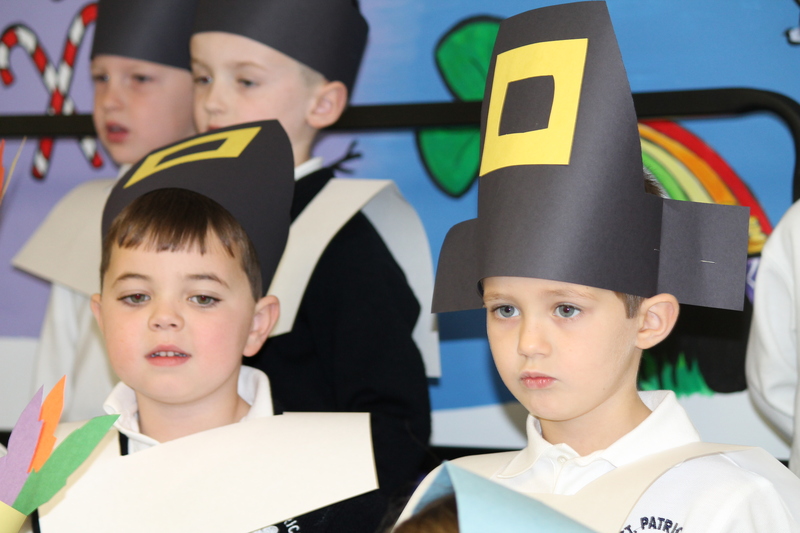 St. Patrick faculty and students have been talking for the past two weeks about all the reasons we have to be thankful. Most people mentioned their faith as the most important part of their life. I had one student tell me that because she knew her grandfather was in heaven, it helped her deal with his death. Next on the list is family and friends, health, and employment. 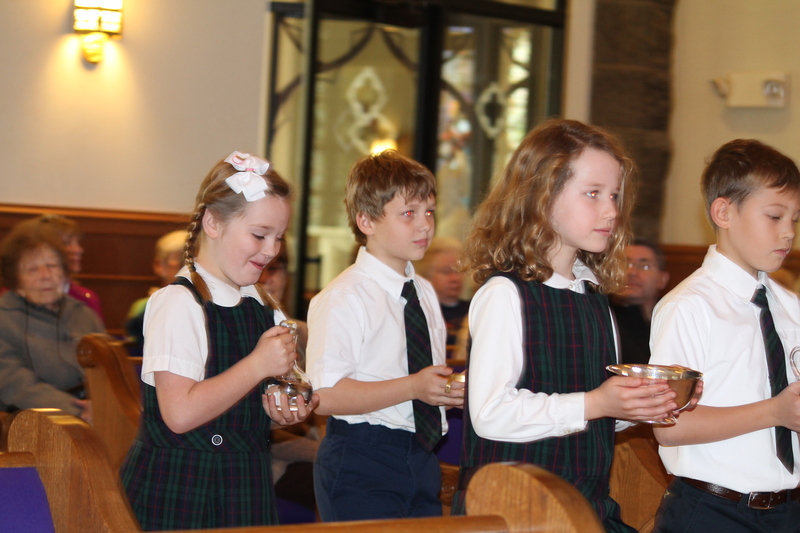 Many of the students have also mentioned their pets – funny how quickly they become an important member of the family! We wish everyone a blessed and happy Thanksgiving! 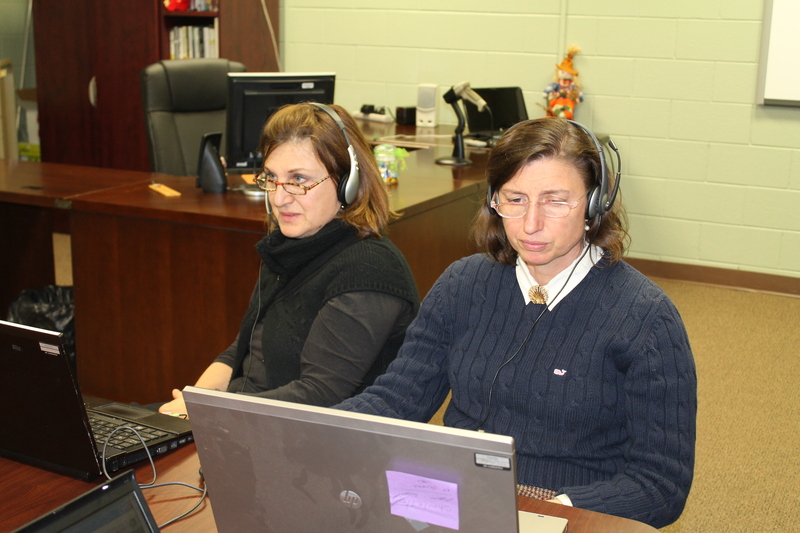 This year the teachers at St. Pat’s are participating in an on-line professional development program. 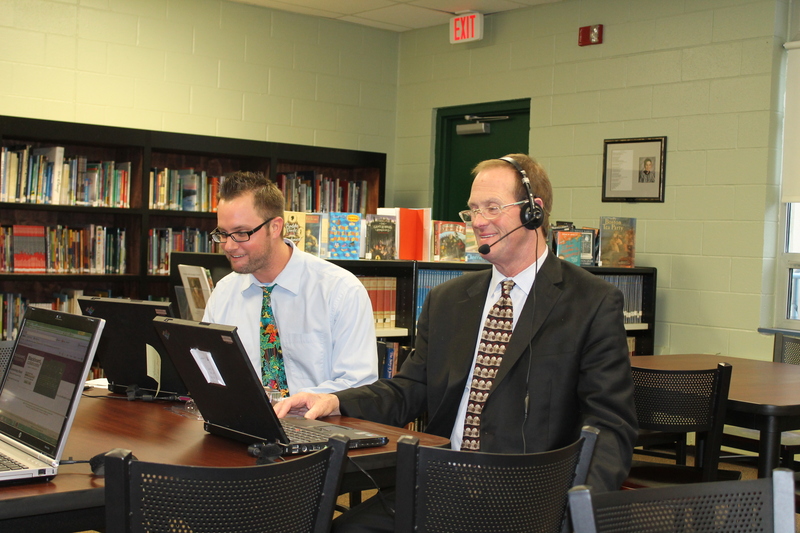 Once a month we log into a webinar and are connecting with educators around the country. 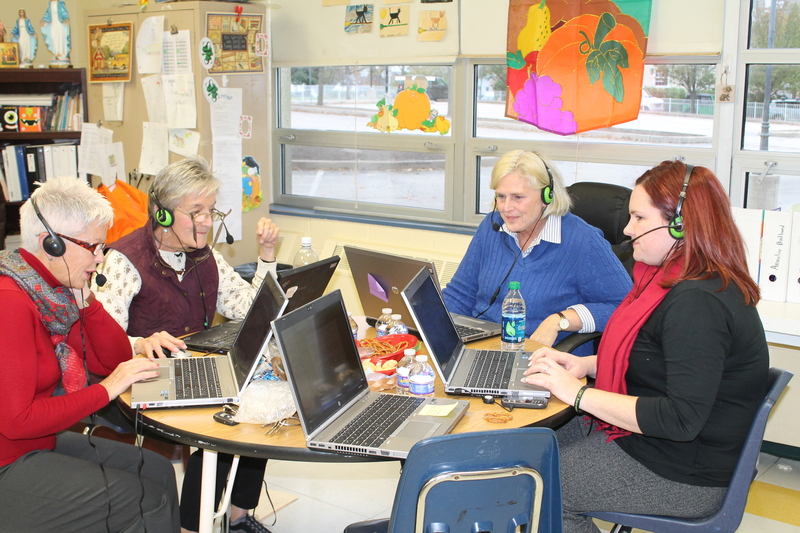 Some of the topics we are discussing and learning about are: how to be connected learners, building a personal network, the flipped classroom, extending learning beyond the classroom, and integrating Web 2.0 tools into the classroom. We have had some great discussions in our groups and look forward to more learning throughout this year! St. Pat’s men lead the way! Ms. Biondi can really multi-task!